The Center for Reformation Research and Concordia Seminary began commemorations for the Reformation Quincentenary by sponsoring an annual speaker series aimed at the St. Louis academic community to offer varying perspectives on the significance of the Reformation. Oswald Bayer began the series in 2012 with “A Public Mystery.” In 2013, the Office of Ecumenical and Inter-religious Affairs of the Archdiocese of St. Louis co-sponsored the event, featuring Fr. Jared Wicks, S.J. and his engaging lecture, “A Catholic Appreciation of Martin Luther for Theology and Life.” Free admission, open to the public. For more information contact the Seminary Continuing Education office:314.505.7286; CE@csl.edu. 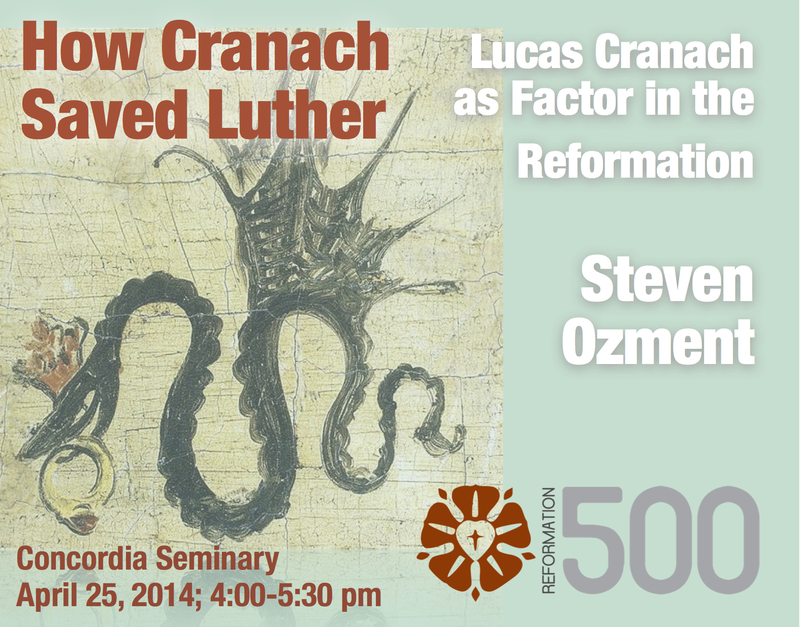 This entry was posted in News & Events, Uncategorized and tagged Lucas Cranach, Martin Luther, ozment. Bookmark the permalink.